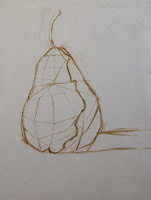 A couple of weeks ago I talked about setting up structure for a drawing in the post Drawing Basics: Structure. I thought I'd quickly post something showing that the same technique can be applied when painting. Just like before, I find the simple shapes within the object and draw the outlining edges the object. 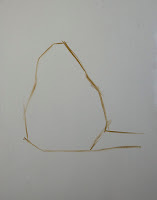 Here I have found the basic outlying shape of the pear. Again, I look for the volume of the subject. Just like in the other post I am looking for the surface planes and where they shift directions to determine the volumetric shape. I will draw the edges of the surface planes on the object for reference when I model the form later. Then I define the light side and the shadow side and delineate that with a line separating the two. Now I am ready to lay in some paint. Then I render the form and paint a pear using a full value scale. 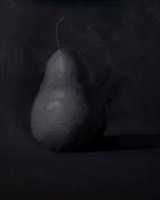 I painted this as a monochromatic painting using black and white for comparison to the drawing exercise. 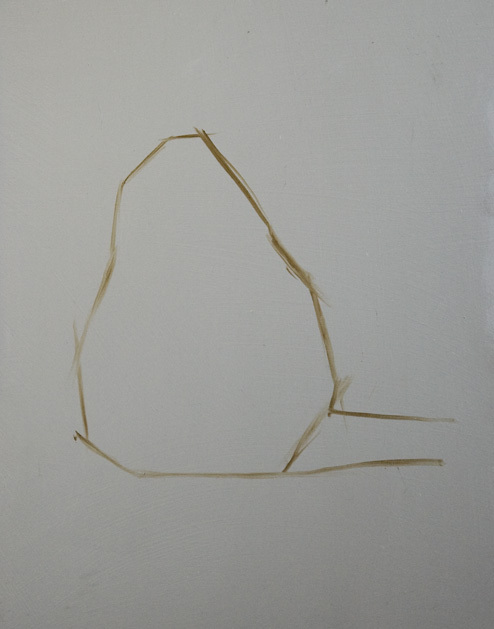 When painting, I used the information provided by the structure drawing I set up as a guide to place the values in the right place on the subject. 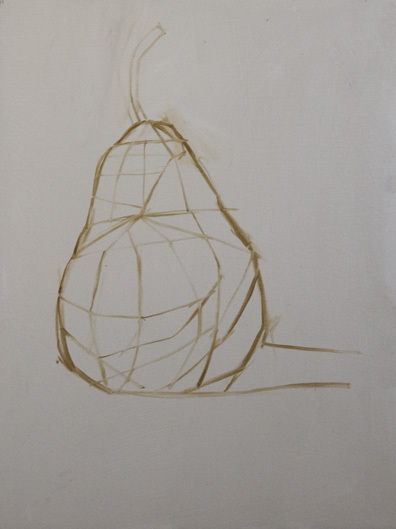 Though done in oil paint the exercise follows the same basics steps we took when drawing the pear. If you are interested in trying this and have some experience with oil paint, you don't have to do this exercise with a pear, any object will do. Pick something that has enough of an interesting shape but not something overly complex. Then give it a try. Once you have done this you will have painted your first still life. If you are not familiar with oil paint I recommend trying the drawing exercise first.